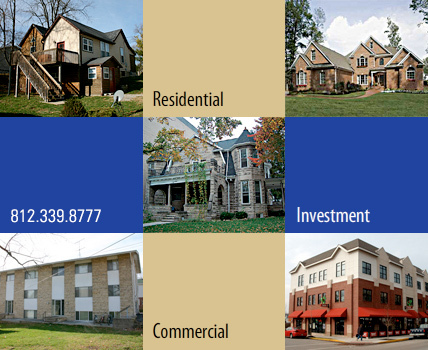 ER Lewis & Company is a proud member of the Bloomington Board of REALTORS, the Indiana Association of REALTORS, and the National Association of REALTORS. Having obtained his first investment property at age 17, Elliot has been involved in the real estate industry for more than 30 years. He earned his degree in accounting from Indiana University's Kelley School of Business in 1982, while at the same time becoming a licensed real estate broker. He later added attorney to his resume, completing his Juris Doctor at Indiana University School of Law in 1987. Elliot practiced law for over a decade and continues to be a licensed attorney. Throughout his years as a practicing attorney, however, he remained engaged in the Bloomington real estate market through active involvement with his family's business, Cedarview Management. He made the return to real estate full time in 2002 and has been a compelling force in Bloomington's downtown development through his contributions to the historic renovation project The Oddfellows Building, and new construction at Tenth & College and the Lewis Building. Elliot's diverse educational background, extensive real estate experience, and development savvy help make ER Lewis & Company the smart choice for your real estate needs.